Dress Code: See below – important! 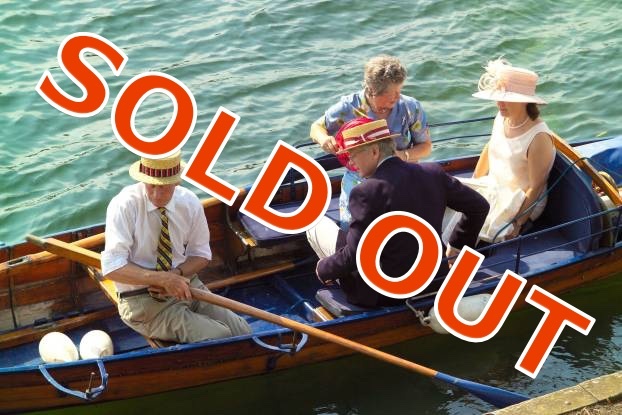 Ticket are sold as “couple’s tickets” and include admission for two and all-day catering. Tickets are non-refundable! There’s no rule about footwear, but wise ladies wear flat shoes because we’ll mostly be walking on lawns, which can be soft ground if it has rained recently. Gentlemen are also encouraged to wear hats (typically a straw boater or panama), but this is not obligatory, and “hatlessness” would stand out less than for the ladies. 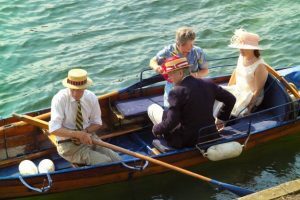 Post contains content from Wikipedia contributors, “Henley Royal Regatta,” Wikipedia, The Free Encyclopedia, https://en.wikipedia.org/wiki/Henley_Royal_Regatta (accessed October 9, 2017). Copyright © 2019 Kent Club. All rights reserved.